Have you ever been in someone’s home and wondered how they keep their furniture looking spotless? Maybe the secret is simpler than you think! If we had to guess, we’d bet that they have their upholstery cleaned regularly by a professional. 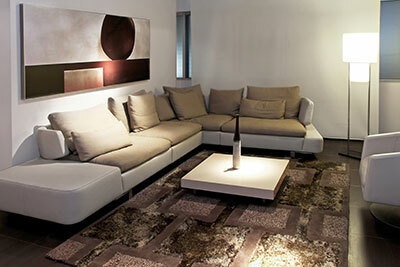 Carpet and other floors get cleaned pretty often, but how frequently do you clean your upholstered furniture? If your answer is ‘never,’ then Corpus Christi Carpet Cleaning Pros can help! Dusting, sweeping and mopping are good ways to clean other surfaces in your home, but upholstery is a little different. You’ll need an expert to properly deep clean the upholstered surfaces in your home. We offer a full line of upholstery cleaning services that will have your couches, chairs, and recliners looking brand new again! Dirty furniture may start to look bad, or you might notice a change in its texture. Once soft and plump, the fabric may have become hard or greasy, especially if people are constantly resting their heads, elbows, or legs on it. You can be the envy of your guests as well when you let Corpus Christi Carpet Cleaning Pros clean your furniture! In addition, your family will enjoy snuggling up on fresh, clean furniture that smells as great as it looks. This question is tricky. On the one hand, we want you to know that you can’t have your furniture cleaned too often! If you’d like to have it done once a month, we say go for it! However, coming from an upholstery cleaning company, we understand how that might sound a little one-sided. Bishop, TX residents have our word that we will be honest when recommending a cleaning schedule for your upholstery based on your furniture, your lifestyle, and your budget. With that said, we recommend having your upholstery cleaned about once a year. If you are also having your carpet cleaned on a regular schedule, this shouldn’t be too hard to keep up with. You can leave the house for the day and come back knowing that everything will be clean, fresh and on its way to being 100% dry by the time you get home! If you think once a year is still too often for upholstery cleaning, you could extend it out to every 2 years. This is a common time frame for many of our customers, and it will still afford you the benefits of professional carpet cleaning. You can still call us anytime during that period if you have an accident that causes a stain, and we’ll be happy to do a spot cleaning for you! 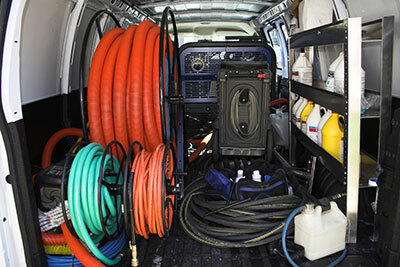 Corpus Christi Carpet Cleaning Pros isn’t about ripping people off or taking advantage of customers. We want to earn trust by giving our customers exactly what they ask for when it comes to service, and a whole lot more when it comes to customer service!